Best church idea ever!!! Today from 4-6 the church had pumpkin carving for the kids. 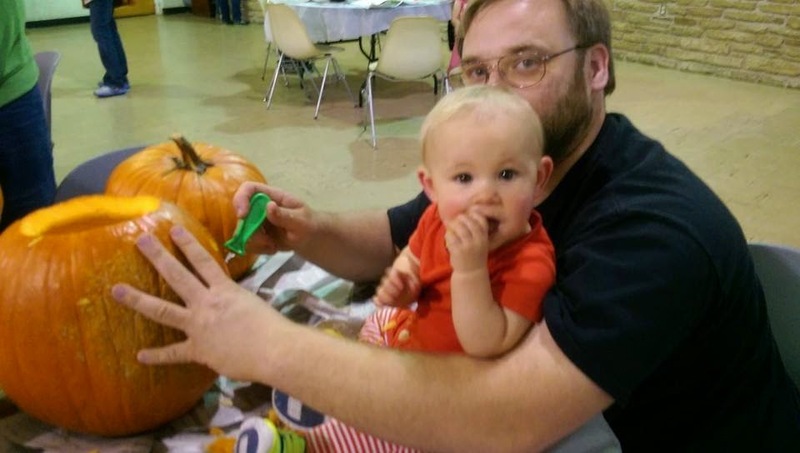 The supplied the pumpkins, carving tools, juice, and cookies. They even cleaned up the mess for you. The kids had a blast. I wish I could have been there but I had a baby shower for a friend down in Waseca. Z had some daddy help with hers. I hear that she ate 2 cookies and a ton of pumpkin during the process. 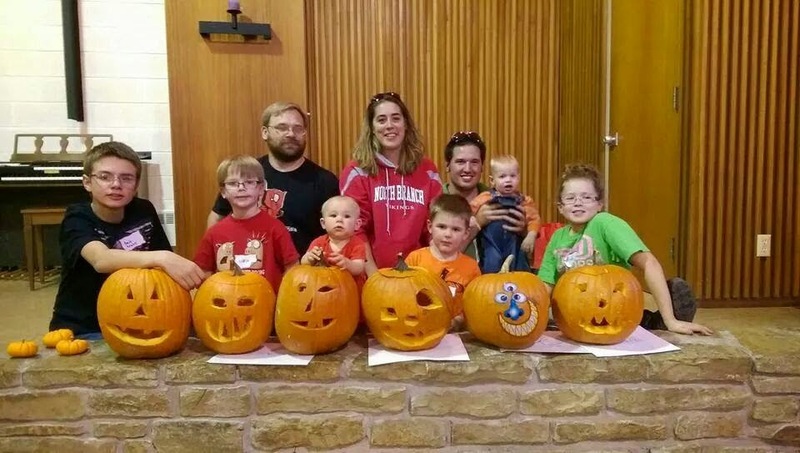 Here is our group that went (minus Nana and Super Nana) From left to right: K, G, Big D, Z, Aunt S, S's boyfriend R and his 2 kids that I can't remember their names, and the niece E.
They are all very proud of their pumpkins. We just carved our pumpkins on Saturday. It was a blast.